Custom printed sandwich bags offer an ideal packaging alternative for the food service industry. Gator Paper provides a complete line of high-quality, durable sandwich bags in a variety of vibrant colors, basis weights and popular sizes. Custom printing and hot stamping is available. With minimums as low as one case, Gator Paper can help any size business promote their products or services with personalized packaging. Our printed sandwich bags, lunch bags, or also known as snack bags are the perfect solution for disposable branding that’s green friendly. These printed paper bags are inexpensive compared to box packaging, and durable enough to withstand their use. Perfect presentation piece for any catering event! What is the minimum order for custom printed Sandwich Bags? 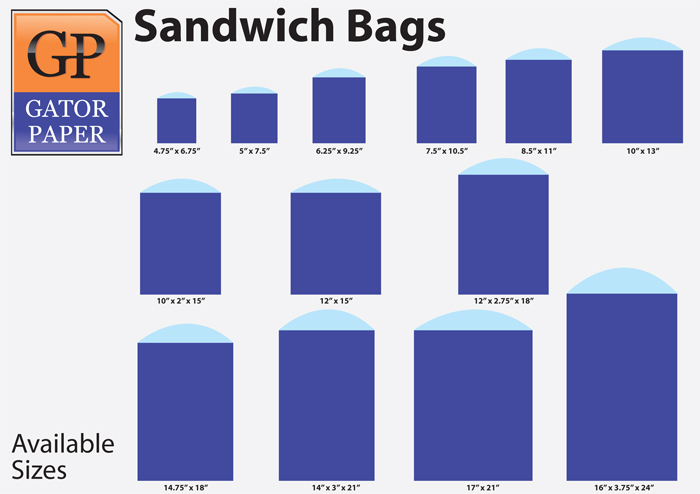 The minimum order requirement for custom printed Sandwich Bags is 5,000 pieces. Our ability to offer small order minimums eliminates your need for extra storage room. Four to Five weeks is the standard production time for all custom printed Sandwich bag orders. Rush orders are available for an additional fee when the production schedule allows. Transit time is typically 2-4 days for the East coast, and 5-7 days for the West coast. Two color spot PMS printing and full coverage printing available . We can match any PMS color on the chart. 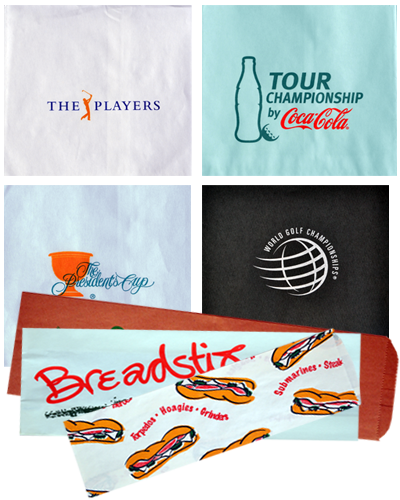 Need a price quote on Custom Printed Sandwich Bags? Contact us today! Need a two part food service bag that can stand up to the toughest food service tests? 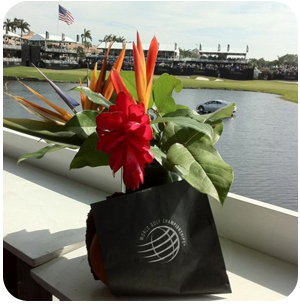 Then look no further than our custom printed Gourmet Bags!